Today, Namely has launched a new employee benefits solution—the Namely Exchange in collaboration with Cigna—to offer mid-sized companies and their employees more flexibility and choice in their employee benefits. We first built Namely Benefits to deliver a better benefits experience for HR teams and the people they serve. Now, with Namely’s technology and quality plans from Cigna, the Namely Exchange is a simple way to offer better, more personalized employee benefits. That means happier, healthier employees—what we believe truly makes for a successful company. It’s harder than ever for mid-sized companies to manage employee benefits. HR departments are stretched thin—between hiring, onboarding, payroll, compliance, building a workplace culture... the list goes on. On top of that, employee benefits are one of the largest investments companies make. Rising healthcare costs, changing regulations, new funding models, fragmented technology, and limited carrier offerings all contribute to a complicated benefits picture for mid-sized companies. At the same time, few employee benefits brokers are truly positioned to help. Some brokers bring experience but they lack cross-functional technology solutions, leaving HR teams with lots of admin work. Other technology players automate some of the benefits process, but they don’t have the deep relationships and expert guidance to help each company find benefits that fit their people and their bottom line. So what’s the answer? Namely starts by offering great employee benefits at competitive rates. To do this, we’ve developed deep relationships with the nation’s top carriers like Cigna, UnitedHealthcare, Aetna, Anthem, Guardian, Unum, and MetLife. These carriers are looking for ways to deliver fresh, innovative benefits solutions to mid-sized companies, and they see Namely as a partner with a like-minded approach. The Namely Exchange, which features employee benefits from Cigna, is a great example of one of these collaborations in action. We’ve worked together to develop a series of competitive, pre-built medical, dental, life, and health products that are tailored for mid-sized companies. Our clients can immediately choose a range of plans they’d like to offer employees—including up to five medical plans—so that each client can address the varied needs and preferences of their diverse employee base. Employees enroll in an intuitive marketplace within the Namely platform, elections are automatically sent to Cigna, and benefits deductions are kept up-to-date in payroll. Employers gain the flexibility to offer more benefits options, competitive rates, a much faster process with carriers, and automated benefits technology. And employees get more choice and a better enrollment experience all around. It’s a true win-win. Namely’s employee benefits clients are backed by a team of expert professionals from some of the industry’s top benefits consultancies. They’re experienced at working with groups of all sizes and well equipped to find benefits that best fit each client’s business. In addition, Namely owns and controls its own technology. Employees enroll in and manage benefits using Namely’s intuitive, user-friendly technology. HR teams use Namely as a central system for benefits, payroll, and HR—and our powerful technology automates benefits administration, ACA reporting, and much more. As a client, you get one partner that handles all your benefits strategy, service, and technology. It’s simple. Today, Namely Benefits serves hundreds of mid-sized companies across the United States, with employee benefits becoming more and more important to our new Namely clients. In the last quarter, over 50% of our new clients chose us as their benefits consultant. With advantaged products like the Namely Exchange, we’re continuing to expand the value and innovation we bring the companies we work with. But most of all, we’re proud to have three of our clients tell you why they chose Namely for employee benefits in our new national TV ad, also launching today. Employee benefits don’t need to be complex. With the right technology, the right coverage, and the right team to back you every step of the way, your employee benefits experience can be more human. 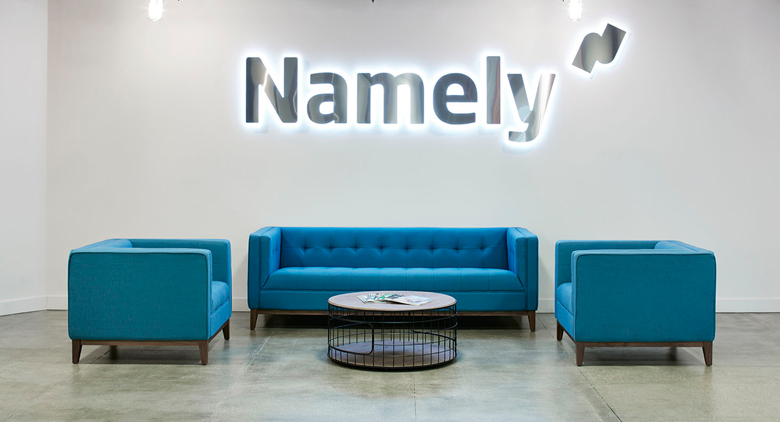 Rob LaHayne is Vice President of Employee Benefits at Namely. 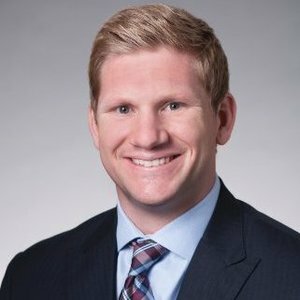 With over 10 years of experience in the employee benefits industry, his specialties include enrollment services, benefits design strategies, and employee engagement. Connect with him and the Namely team on Twitter, Facebook, and LinkedIn.